As former Marquette track and field athlete Monique Felix set a personal record to help clinch Marquette’s BIG EAST indoor track title in 2017, she was in tears. She immediately ran to the sideline and hugged assistant coach Rick Bellford. Bellford picked her up in excitement. Head coach Bert Rogers then embraced her before teammates greeted her. 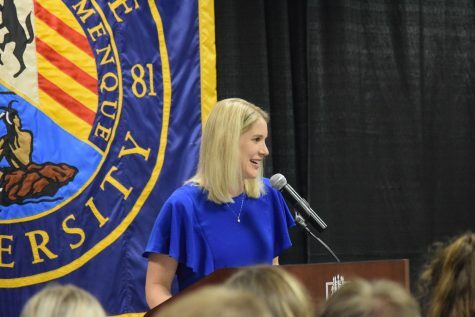 The record was just one of many feats Felix accomplished for Marquette in three and a half years, which included winning five individual BIG EAST titles and a major speaking role in the 2017 Blue and Gold Fund Auction, which raised more than $625,000 for Marquette Athletics. “She’ll go down as one of the greats in Marquette track and field,” Bellford said. However, Felix’s departure from Marquette was hardly as celebratory as her signature athletic moment. Felix graduated a semester early with a double major in international business and finance and transferred to the University of Minnesota for her final two years of athletic eligibility. She made the decision in October 2018 due to her own academic interests. 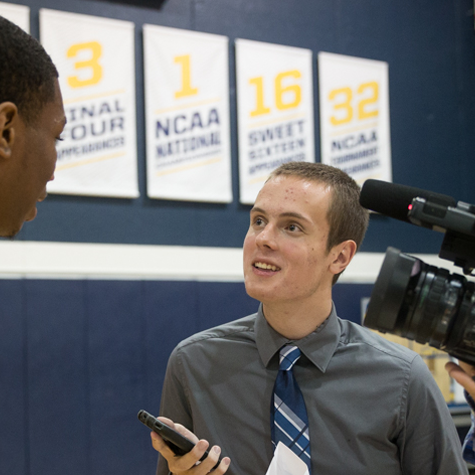 Marquette does not have a graduate program in sports management, which was a path Felix hoped to pursue. 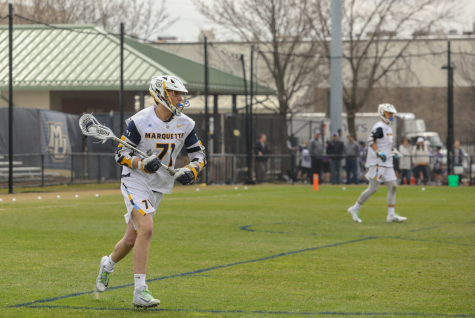 “The more I realized I want to work in sports and not in corporate finance, I knew even more so that staying my fifth year (at Marquette) wasn’t in my best interests,” Felix said. Her initial plan was to complete her senior academic year, but the coaches at the University of Iowa suggested starting early on her visit to Iowa City. She did not choose to attend Iowa, but took the suggestion to transfer early. “It wasn’t really that easy of a decision,” Felix said. 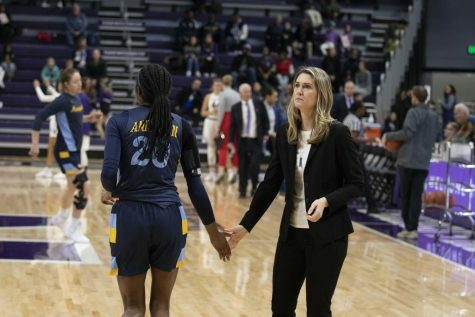 Back at Marquette, she said her decision to graduate and transfer resulted in worse treatment from teammates, coaches and other athletic department officials. She said her relationships with Rogers and Bellford, who hugged her after her BIG EAST-clinching high jump two years ago, took a significant hit. It wasn’t easy for her to tell them her intentions to transfer, so she wrote a letter and read it to Rogers and Bellford. It wasn’t easy for the coaches, either. Felix said she and her family were very close with Bellford. Her father even went to football games with Bellford. After she decided to transfer, she had no substantive conversation with Bellford, which Felix and Bellford confirmed — no text messages, no phone calls and no in-person conversations beyond hello. “(The lack of communication) is really hard to cope with because he’s someone who has been a really important person in my life throughout the last three and a half years,” Felix said. “I’ve been very focused on getting the current roster ready for their first meet,” Bellford said. Her father and Bellford did not speak beyond wishing each other a happy Thanksgiving via text message. She said she felt a strain in relationships with her coaches when she first told them she wanted to graduate and transfer for her fifth year, but the relationships took a significant turn for the worse when she said she was going to graduate in December and forgo her junior track season. Rogers maintained more of a relationship with Felix than Bellford, meeting with her before she left for Minneapolis to wish her good luck and a merry Christmas. A few days after she notified the coaching staff of her departure, she lost access to team training areas. She could still use the sports medicine facilities to recover from her overuse injury, but she had no access to the team’s locker room or weight rooms. While the rest of the team trained in preparation for the indoor season starting Dec. 9, Felix had to train on her own. 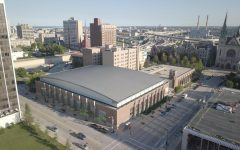 Marquette Athletics spokesperson Scott Kuykendall said each head coach chooses whether to give access to facilities for a transfer, but he said coaches consistently opt against giving players access. She also lost the ability to run at the Pettit National Ice Center for free, a perk given to track and field athletes at Marquette. 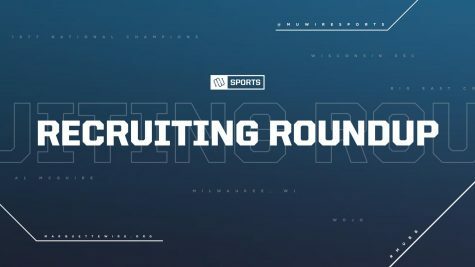 Felix said she wanted to give the coaches an opportunity to get a mid-season transfer, but Rogers said he opted against using the transfer portal because of the challenges of finding a transfer who would fit Marquette’s program and culture. 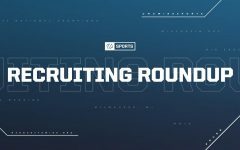 The transfer portal functions like a free agency for transfers, allowing student-athletes to enter the portal and have coaches reach out from there. 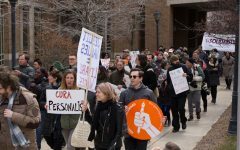 Felix said she had difficulties finding a place to adequately train at a national level for the remaining weeks of the semester. 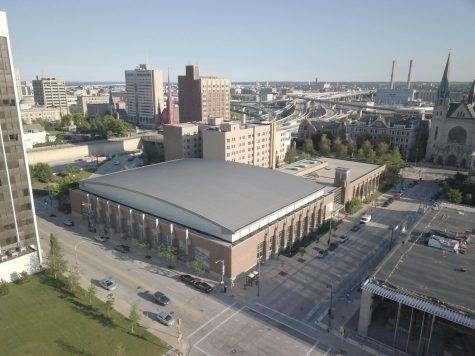 She looked at several options, including using the University of Wisconsin-Milwaukee’s facilities, but UWM would have required a semester-long membership. She would lift weights and cross-train at the Helfaer Recreation Center on campus, where the general Marquette community can exercise, but she had to find unusual times to avoid crowds or awkward encounters with former teammates. Rogers described the limitations on Felix’s training as “standard procedure” and a way to make sure she isn’t a distraction for the rest of the team. He said his treatment of her wouldn’t differ from any other transfer. Sport administrator Adrienne Ridgeway and Rogers notified Felix of the restrictions a couple days after she announced her decision to graduate and transfer. “I didn’t really expect to be coached in technical events like jumps, but not even being able to train with the team was kind of shocking,” Felix said. It also avoided a liability for the athletic department in case she suffered an injury, which then left her potentially more prone to an injury working out independently without professional coaching. Felix said the coaches at Minnesota anticipated this issue, but she did not see it coming. Some athletic departments differ with their own policies on transfers. Creighton University spokesperson Rob Anderson said Creighton evaluates transfer access on a “case-by-case basis.” Boston College spokesperson Jason Baum said it “all varies by sport and the specific circumstances of each transfer.” The University of Wisconsin-Madison also determines it on a “case-by-case basis,” per spokesperson Brian Lucas. 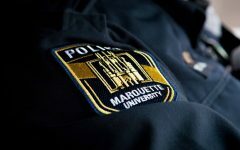 None of the athletic departments that responded to comment indicated a consistent trend like Marquette has. 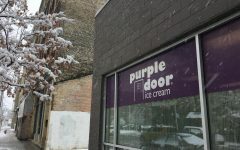 As a result of Marquette’s restrictions, Felix drove an hour from campus throughout the semester to her hometown Sheboygan, Wisconsin, to train at her high school. Not having any coaches or teammates to push her until she arrived at Minnesota, Felix’s father trained her. He coached her through high school, so it gave her a chance to “go back to (her) roots.” Felix said his help was critical in the transition. 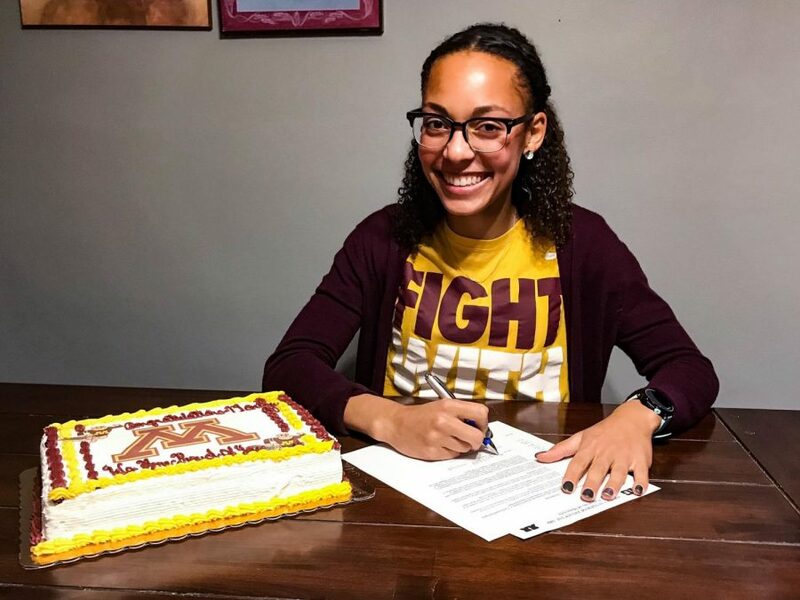 She said this caused a “significant disadvantage” in her ability to prepare for her first indoor track season at Minnesota. She continued to work at the Al McGuire Center at the front desk and the ticket office, but after she announced the transfer, pictures of her around the building were taken down. One picture mounted to a wall was covered. Now the pictures sit in her parents’ house. “We don’t put (a picture of) every front desk person up in the Al either,” Pattarozzi said. Pattarozzi said he did not believe Felix’s status as a student worker was taken into consideration when taking her pictures down. 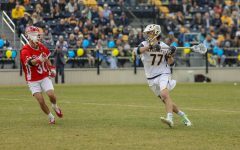 Kuykendall said via email the department removes photos from promotional material of any athletes who leave, regardless of sport or level of accomplishment. While the department has rotated some photos, a walk into the Al McGuire lobby shows pictures of famous men’s basketball alumni. The situation took a toll on Felix’s mental health. She said she quickly figured out which teammates were truly loyal to her in the process. Instead of spending time with friends her last semester at Marquette, she was spending extensive time driving or training away from campus. One of her closest friends through the process was graduating women’s soccer senior Ryley Bugay. Rogers and Bellford said neither of them would have done anything differently with Felix’s transfer process. 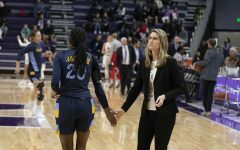 Despite the “heartbreaking end” to her Marquette career, Felix described her Marquette experience as “overall really positive.” If she had to start her recruitment over again, she still would’ve chosen Marquette, which was her dream school since third grade. 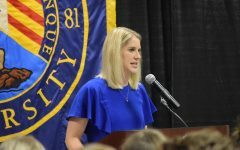 Academic athletic advisor Katie Simet and the other academic athletic advisors were particularly influential in Felix’s personal and professional development, she said. 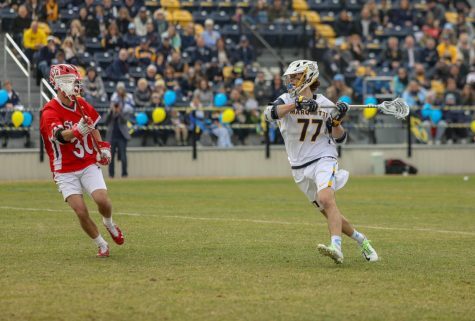 Simet worked closely with Felix through Marquette’s Student Athlete Advisory Committee. While the transfer decision was based on the sports management master’s degree program at Minnesota, the Gophers have a few other perks. She’s joining a track and field program with a strong track record and sizeable budget. 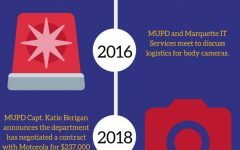 For every $1 Marquette spent per female track and field athlete on gameday operations in 2016, the University of Minnesota spent $2.04, per the United States Department of Education’s Equity in Athletics Data Analysis. The 2016 figures are the most recent data available. Minnesota has also finished in the top 20 of the NCAA indoor track championship in six of the last nine years. 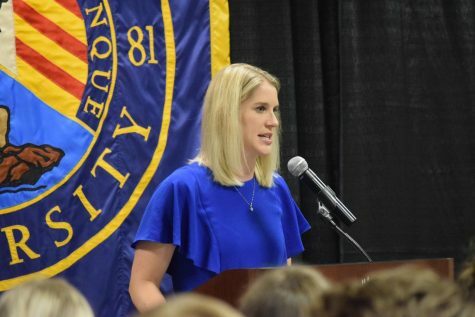 First of all, there are two sides to every story and sadly you were only able to tell Monique’s side, which is unfortunate because her opinions are reflecting very wrongly on the Marquette Track and Field Team- coaching staff and athletes. As Coach Rogers stated, the standard transfer process was followed and it is very immature and egotistical of her to see this as anything other than that. It is also a selfish statement to suggest that in hindsight she would have told her coaches her plans to transfer at a later date, just so she did not have to travel a distance to train at her high school. Another point I would like to stress is Felix’s one-sided view on how her teammates treated her. 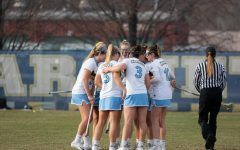 It is important to keep in mind that her own behavior and attitude toward her teammates had an effect on how she was treated by them in return, which goes for all people everywhere- treat others as you wish to be treated. Lastly (though there are many more points I could make), text messaging and email are the standard forms of communication coaches use to reach athletes and this article made it seem as though something more than a text message on Thanksgiving was expected, which I think is very nice of Coach Bellford to take any time at all to wish his athletes and former athletes, specifically the father of a former athlete a Happy Thanksgiving. 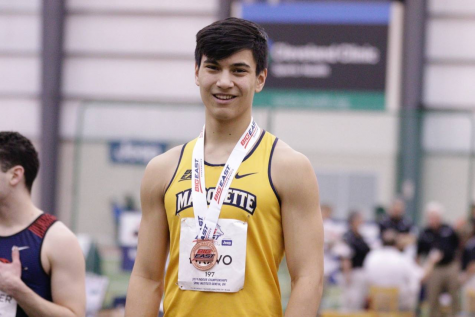 First of all, there are two sides to to every story and sadly you were only able to tell Monique’s side, which is unfortunate because her opinions are reflecting very wrongly on the Marquette Track and Field Team, both the coaching staff and athletes. As Coach Rogers stated, the standard transfer process was followed and it is very immature and egotistical of her to see this as anything other than that. It is also extremely selfish to suggest that in hindsight, she would have delayed telling the coaches of her intent to transfer, merely so she did not have to travel an hour to train at her high school. Another point I would like to stress is Felix’s one-sided view on how her teammates treated her. 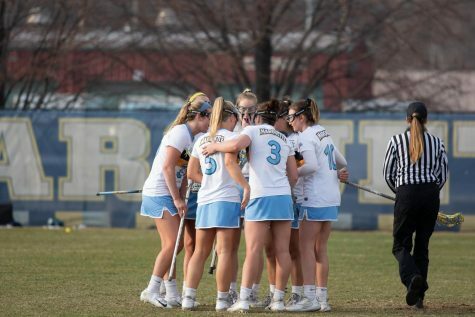 It is important to keep in mind that her own behavior and attitude toward her teammates had an effect on how she was treated by them in return, which goes for all people everywhere- treat others and you wish to be treated. Lastly (though there are many more points I could make), text messaging and email are the standard forms of communication coaches use to reach athletes, and this article made it seem as though Felix expected something more than a text message on Thanksgiving, which I think is very nice of Coach Bellford to take any time at all to wish his athletes and former athletes, specifically the father of a former athlete, a Happy Thanksgiving. I would just like to say that I completely agree with the other athlete’s comments. She chose to transfer and that choice comes with consequences, no matter the circumstances. It’s unfortunate some of the struggles she faced, but it is not uncommon in this sport, and her attitude towards the struggles did not need to be as bitter and selfish as they were. If she is not going to be competing with us in this next season why should she be training with us? If someone transferred from the basketball team would they continue to practice with the team? There are plenty of resources in the area. Every summer we train on our own, why is it so difficult to train on her own now even though she’s done it in the summer for the past 3 years? She can pay to run at the petit on her own, lifting at the rec is not that inconvenient (many of us do it during the summer). The specialized events are more difficult to train, I will agree with that, but there was plenty of time over winter break for her to practice those events at home with her dad/high school coach. I feel like this is the first time Monique has not received the treatment by the Track and Field program that she felt she was entitled to, and because she didn’t get what she wanted she decided to be bitter and portray the program, which made her into the athlete she is, in a negative way. I feel as if the truth about her transfer and her time at Marquette was not accurately represented and this article says more about who Monique is as a person, than it does about the Track and Field program.